OTTAWA -- Conservative MPs say the government should be going after a Canadian who told a New York Times podcast that he shot people in the head as an executioner for Islamic State militants in Syria. The man, who used the name Abu Huzaifa al-Kanadi, is now reported to be living in Toronto. In question period on Friday, Conservatives demanded government action, but Public Safety Minister Ralph Goodale was cautious, saying he couldn't comment because of security concerns. "This individual is speaking freely to the media," said Conservative House leader Candice Bergen. "The government has got to know where he is." Bergen said he told the podcast he won't be held responsible for his killings. "The media are reporting this individual is in Toronto, right now, as we speak. Can the government confirm it? Why isn't this government doing something?" Goodale said police and security agencies are doing their jobs properly. "I am charged with the responsibility of keeping Canadians safe," he said. "Discussing operational matters on the floor of the House of Commons is exactly the opposite of keeping Canadians safe." Bergen, however, was not backing down. "This guy is apparently in Toronto," she said. "Canadians deserve more answers from this government. Why aren't they doing something about this despicable animal?" CBC News reported in 2017 that Abu Huzaifa had been questioned extensively by RCMP and CSIS, but had not been charged. The Canadian Security Intelligence Service has estimated that about 60 Canadians have returned home after fighting with foreign terror groups. 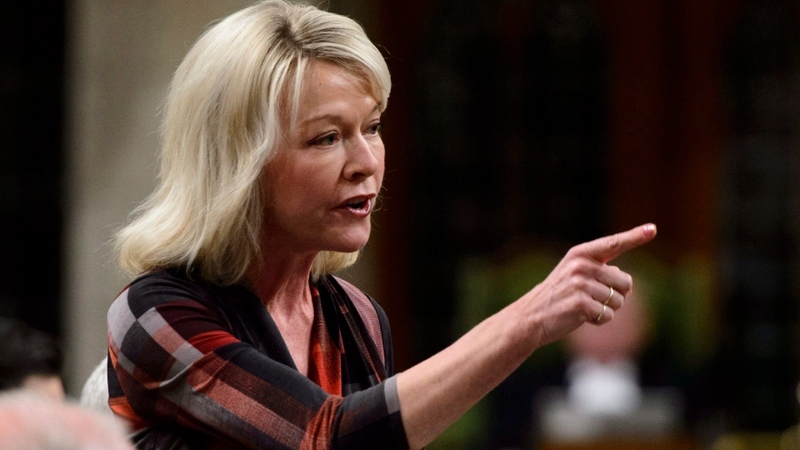 The federal government has established a centre to fund research and programs to stop radicalization and help people leave extremist groups, although the Conservatives have scorned its efforts as little more than poetry lessons for terrorists. The government says it has a host of other counter-terrorism tools for returnees, including surveillance, criminal investigations, peace bonds, and the revoking of passports. Such measures are effective, Goodale told the Commons. "The security and police agencies of this country do an extraordinary job in identifying individuals that pose a risk to the public and taking the appropriate action to make sure that Canadians are safe." Servers used by Islamic State propaganda sites seized in Canada, Europe, U.S.